For the past year, investors have been asking themselves whether they should be betting on gold or Bitcoin. Whether or not they’ve won depends on their outlook. The meteoric rise of Bitcoin made a lot of people wealthy overnight, but the volatility of Bitcoin plus its immaturity as an asset mean there’s a lot of uncertainty and risk. By comparison, gold has behaved the way it always does – as a reliable store of wealth. Bitcoin is facing new challenges, though its valuation is still incredible compared to just a year ago. Governments are finally starting to catch up with the rise of cryptocurrencies and are introducing regulations. News that the Japanese FSA had warned Hong Kong-based Binance, a cryptocurrency exchange, about operating in Japan without registration set back Bitcoin prices late in March and more crackdown headlines could adversely affect Bitcoin in the near future. There has also been talk in Washington D.C. of updating U.S. regulations for cryptocurrencies, particularly introducing new anti-fraud measures. But regulations are short-term concerns and when you take the long view on gold, you have to consider thousands of years of history as a store of wealth. 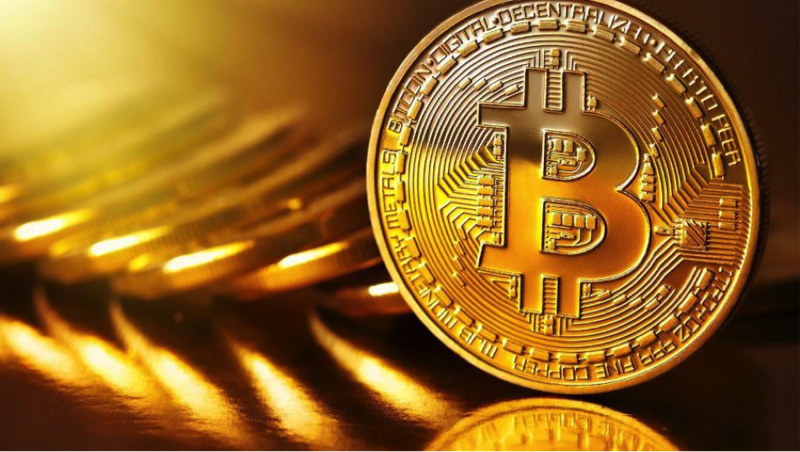 Many investors are concerned that destructive technology is more likely to radically alter Bitcoin in the long future than any technological upheaval occurring that would alter gold. Based in a man-made system, there’s little reason to believe Bitcoin will be relevant in its current form 50 years from now. On the other hand, people have been trying to hack gold for hundreds of years, ever since alchemists first claimed they could make gold out of lead. Gold, which is made in dying stars, has only ever been successfully made on Earth one atom at a time in a supercollider. Gold isn’t going anywhere and whatever the live price of gold today the precious metal is going to maintain its value centuries from now. Investors should pay attention to the ups and downs of gold. Active investors can trade gold and silver or gold and Bitcoin to gain from day-to-day price changes, but long-term, gold is a forgiving asset. For the foreseeable future, gold and Bitcoin are likely going to co-exist. It remains to be seen whether Bitcoin will become the kind of store of value that gold has proven itself time and time again. In the meantime, it’s easy to buy gold with Bitcoin thanks to online gold dealers like Silver Gold Bull. They allow you to directly trade gold and Bitcoin the way that you might exchange gold for silver and vice versa. Easily exchanging assets directly, without having to convert to cash, saves you costs and fees. Look into buying gold with Bitcoin through Silver Gold Bull if you’re looking to convert your cryptocurrency funds into an asset that’s known for stability. Every portfolio needs to be rebalanced from time to time. You can avoid overexposure to fluctuating Bitcoin prices by converting that excess Bitcoin directly into gold coins and bars. The woman your kids call ‘Mom’ deserves only the best things on Mother’s Day. There’s only one problem: the best things tend to be expensive. When spoiling the most important woman in your kids’ lives puts a strain on your budget, you need to think outside the box on the big day. If you want to help your children pamper Mom without going over budget, use these smart Mother’s Day tips to your advantage. Tap into the true spirit of Mother’s Day. Mother’s Day is one of the biggest shopping days besides the holidays, but it wasn’t always that way. Anna Jarvis, the woman who started it all, created Mother’s Day to celebrate what mothers do for their families. She recommended children spend time with their mothers on the big day. “You’re thanking your mother for all the sacrifices she has made for you. So if you can’t be at home that day, you send her a handwritten letter,” said Katharine Antolini, a professor at the West Virginia Wesleyan College who wrote her dissertation on Mother’s Day. Though old-fashioned, this idea of Mother’s Day reflects what mothers want today. 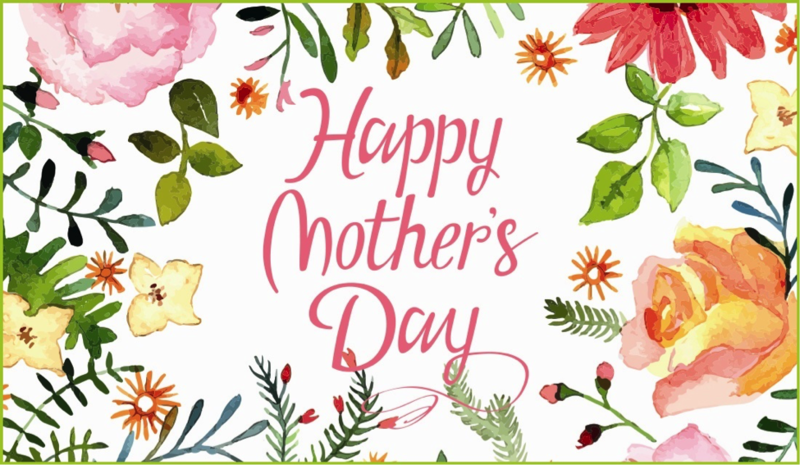 According to a Mediabrands survey, nearly half of all responding mothers want to spend time with their family on Mother’s Day, while only four percent looked forward to receiving gifts and treats. Watching a movie. Let mom finally choose what flick the family watches on Netflix. Cater the movie with all her favorite snacks, making sure there’s enough to share with everyone. Experiencing spring. Mother’s Day arrives at a beautiful time of the year when most flowers are just starting to bloom. Take the family to a local botanical garden or butterfly conservatory and spend the afternoon marvelling at nature’s bounty. Treating her to a homemade meal. Though family dynamics are changing, most families still expect mom to put food on the table. If this holds true for your family, surprise her by cooking her favorite meal with the kids. While everyone is occupied in the kitchen, let her relax in the tub with a bath bomb, a book, and a glass of wine. Have a backup should things go off track. Even when spending the day at home, your Mother’s Day plans can end up costing more than you planned. When you go over budget, you’re leaving your family unprepared should other expenses come your way. A loan is a great solution to your cash flow problems, but it can be tough for a young family to secure it through conventional means. When you’re struggling to make ends meet, get a fast installment loan online to help you through your financial crises. Only online lenders like MoneyKey provide financial assistance online. These lenders remove many of the barriers restricting families from getting the help they need with quick and convenient online loans. You can help your kids pamper their mother without having to bust your budget. Put these tips to the test this Mother’s Day, and keep your expenses low by spending quality time with this special lady. It doesn’t matter what reason has been cited, divorce can have all sorts of repercussions on men. A routine which may have lasted for decades has effectively been thrown out of the window, and what often happens is that guys are left to stroll around the golf course on an August afternoon in a bid to fill the hours. Of course, there’s far more to it than this. This is something that Bob Mims Memphis has discovered, and the findings from his work are interesting to say the least. Some of these findings have arrived from university-esque studies, while others have been found through reports in the community. Let’s now take a look at the typical effects of divorce on the modern-day man. Men are often regarded as having less emotional sensitivity than a woman, but studies have found that they actually struggle to adapt to their new situation more than women. It’s understood that a man will really struggle to cope with the loss of a social connection and intimacy, which are areas which a typical woman will be able to grasp more quickly. There is also an issue about finances here, with men tending to struggle more now that the finances have been divided (and ultimately been reduced). Following on from the previous point, this next one sounds almost strange. However, once a man has got over the initial period of emotional instability, it appears as though they will tend to remarry a lot more quickly. This is what a different study revealed, with divorced men much more likely to walk down the aisle at a quicker rate than their divorced ex. Like most of the points we have talked about, there might be an element of surprise with this next point as well. Once again, as men are seen as the less sensitive type, it’s generally assumed that they will “get on” with things and ultimately spend more time doing the things they enjoy (like heading to the golf course!). However, research has suggested that they are more negative about the prospect of divorce, and will often try and reconcile before finally accepting the situation. Again, considering the statistics regarding remarrying, this can be quite a tricky point to understand for many. Fortunately, divorce doesn’t always have to end significantly badly for children in the middle of things. It has been found that those dads who have shared parental responsibility are much more likely to participate in their child’s life, than so called “deadbeat” dads. This doesn’t just relate to the time they spend with them either, but also the money they pledge towards their development. In other words, it truly is an equal split between both parents – which is often debated. A lot of Americans are feeling a bit uncertain about the future of the dollar and of the global markets in general. When confidence in stocks and paper currencies falls, people tend to turn towards physical assets, especially precious metals, with gold being the perennial favorite. There are lots of ways to invest in gold, but in uncertain times, direct ownership of this asset is best, so pay a visit to Golden Eagle Coins to start off your stockpile. 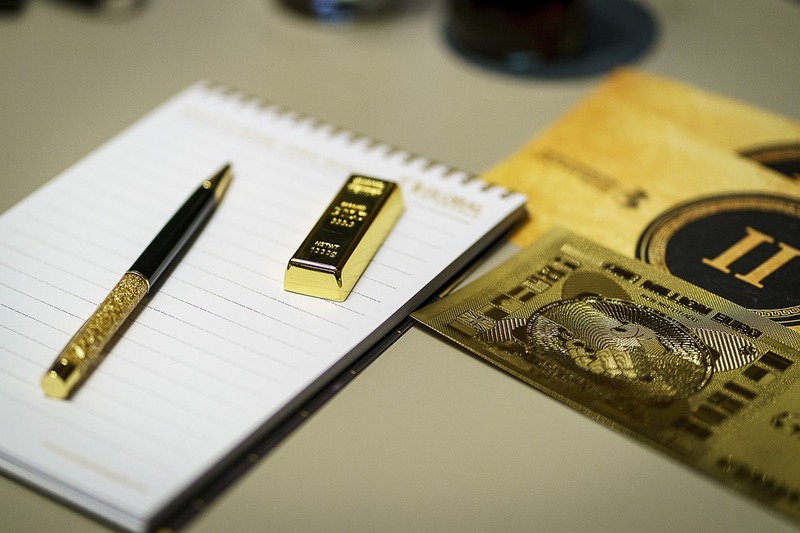 Direct ownership means that you’ve bought physical gold – whether it’s jewelry, bars or coins. Of course, there’s ETFs and shares in mining companies, but when the economic climate is looking gloomy, people feel safer holding their own assets than trusting a company that could fold at any minute. Gold has been our most prized, desired and treasured precious metal. As soon as humans worked out how to extract it from its ore or from its seams, it’s driven our appetites and we haven’t lost our enthusiasm for this metal millennia later. In fact, our love of gold has grown, especially now we know how to use it in science, medicine and industry. Whatever you pay for your gold at any one time, you can sell it for its future price when the time comes. Gold doesn’t ever devalue; of course, its market value will take a dip every so often, but it always rises over time because supply never quite reaches demand. If you bought a car for $10,000 in 2012, there’s no way you’d get $10,000 for it now, even though all the new cars cost more due to inflation. With gold, you never have to worry about this sort of devaluation and depreciation. As an element, gold will always have a high value to humanity because of its appearance, its rarity and its many other applications. It’ll always be in high demand and if there’s ever a financial or other sort of crisis, you can sell it or use it as currency no matter where you are in the world. The biggest benefit of gold is that you can take physical possession of it – the old adage “If you can’t hold it, you don’t own it,” is very true. If you think about mutual funds, shares, ETFs and so on, all it takes is a big enough hack or a worldwide financial crash and your investments are all gone as they’re just theoretical digits in a program. Gold, on the other hand is portable and tangible. No-one can wipe it clean from a balance sheet as long as you can protect it. Not many other assets and investments – physical or not – have these advantages; physical gold gives you a solid insurance policy against financial meltdown. Even better, it will carry on performing nicely for you when the going’s good as it only ever increases in value. What’s not to love? The speeches have concluded, the music starts, and everyone leaves their seats to feast on the plethora of platters that you took five loans out to afford. Then, dessert comes and it’s time to cut the cake. The cake you spent hundreds of dollars on is now going to be devoured by uncle Steve’s five toddlers and aunt Sharon’s seven cousins who came uninvited. Nobody even bothered saying thanks. Now you’re sitting and thinking, was it really all necessary? Of course not! You could do with a much more budget-friendly cake while still keeping your guests satisfied and adhering to the traditional ceremony of cutting it. By saving money on your wedding cake, you’re left with more money to put towards other aspects of your wedding such as the wedding venue, or simply more money to save for the future. After all, this is likely the time when you’ll need every cent you can get. 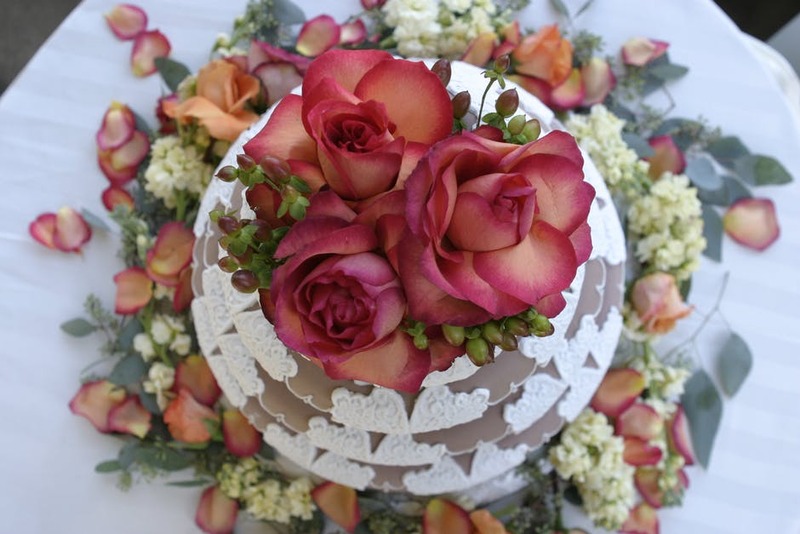 While tasty icing flowers may look great, each piece takes between 30 minutes and two hours to be completely created and implemented on your cake. Naturally, this will result in a hefty labor cost, especially if you decide to have a whole bouquet of the things stuck to your cake. Instead, you could use fresh, real flowers, provided they’re properly clean. Of course, you could go the full frugal route and simply use fake flowers, but they likely won’t look particularly flattering. Another alternative would be to use simple sugar flower designs such as hydrangeas and calla lilies. More mainstream options such as roses and peonies aren’t nearly as affordable. Chances are there’s a boutique or local baker nearby that can make your cake for even cheaper than a full-blown specialist would. Sure, it won’t look as intricate and extravagant, but the point is to save money. The catering service at your wedding location might also have some affordable options. As a matter of fact, some caterers will even charge a fee if you decide to use another baker. Scummy, but that’s business. Take a look at allcakeprices.com to get a better idea of the options you have for each type of baker. Many couples often overlook other aspects of the cake, such as the stand, and end up wasting tons of money purchasing an unnecessarily extravagant one. After all, who’s going to look at the stand? Many bakers provide decorated stands and boards free of charge, so purchasing a whole tower is completely unnecessary. If your cake is more on the bland side and you want to spruce it up with some nice accessories, consider adding some candles, linen, and repurposed bridesmaid boutiques to keep it looking as great as the rest of your wedding setup. There are numerous guides available that can help you decide which stand will work best. If you’re skeptical as to how your frugal cake will be received, keep in mind that’s it’s just a tiny part of a huge event where most attendees will likely be so hopped up on emotions (or alcohol) that they seriously won’t even remember your cake.